But life was not easy on the mining frontier. Homes at Central had no insulation. They would be hot in the summer and so cold in the winter that in some cases sawdust was poured over bedroom windows and boarded up to prevent the blasts of winter from entering the room. All supplies had to be shipped by boat from ‘down below’ to the Keweenaw. Once Lake Superior iced over no more food or supplies could be expected until spring. The winter of 1860 posed problems for those living at Central when on November 10, 1860, the wharf the company used at Eagle Harbor caught fire. Many of the supplies of food and material for the winter were destroyed. To compound the problem the ship that was brining the replacement supplies was caught in a storm and had to throw many of the replacement supplies overboard to avoid sinking. The only other way to get to Central other than boat was to take an over-night stage coach ride over the rugged road that ran down to Calumet, the nearest large town to Central. The population of the town of Central varied as the mine would open, close, and then re-open depending upon the price the company received for the copper the miners raised from the ground. In 1882 over 1,200 people lived in 130 homes in Central. The school served 352 students.The town was served by both a Catholic and a Methodist Church . There were numerous lodges in town. The Central Mine F. & A. M., the Freemasons, Keweenaw Lodge No. 242 was organized in 1868 with 70 members and in 1872 the Philanthropic Society of Sherman, a secret social society, formed a lodge in Central. The first Post Office in Central also opened that year. An 1873 R. L. Polk business directories showed several blacksmiths, builders, shoe makers, hotel and boarding house operators, a doctor, a lawyer, a justice of the peace, a general store, a meat market, and a tailor. The livery in town was large enough to shelter over 100 horses. In 1882, the ‘Good Templars’, I.O.G.T Keweenaw Lodge 23 was charted with 32 members at Central. The Lodge was remembered as “the main social affair” with dances as well as meetings taking place in its hall. But the copper ran out as the mine went deeper. All work was suspended on August 1, 1894. Miners and their families began to leave Central for the Keweenaw mines still operating near Calumet and Houghton. The school closed as did the stores in town. Those who chose to stay at Central began to go to Eagle Harbor for goods and services. 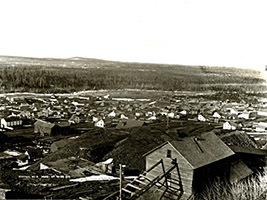 In 1905 the Central Mining Company was dissolved and the Calumet and Hecla Mining Company purchased the property. The town slowly became a ghost town with many of the homes demolished and their wood used to build homes and camps in other locations. In 1907 the first of over 100 Central reunions was held. It is the spirit of these reunions that has kept the town of Central alive. 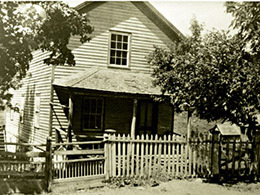 Today the Keweenaw County Historical Society owns several of the remaining buildings at Central and operates them as a museum. The Methodist Church is now in the care of a Board of Directors that maintains the building and operates a Central Reunion the last Sunday in July of each year.